Stolzle One For All Slant Carafe 1L (P/N 86506/50/00/91). The smooth touch and delicate chime of Stolzle crystal glassware will impress your guests. Mouth blown from 100% lead-free crystal, Stolzle glassware provides higher clarity and brilliance than leaded glassware. The 100% lead-free carafe undergoes a fire tempering process that increases hardness and durability, resulting in less glass breakage and enduring clarity. 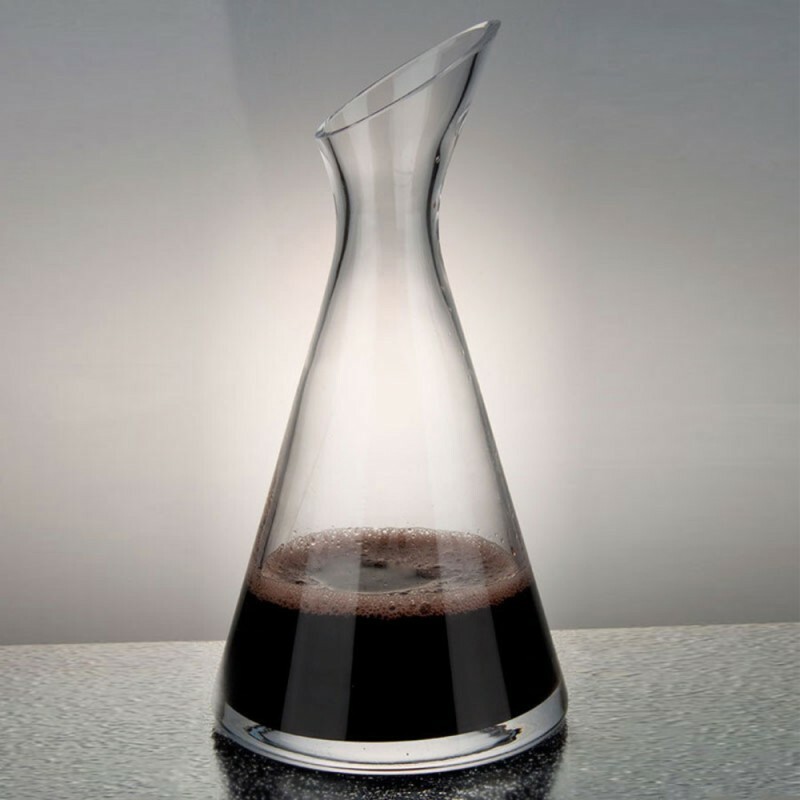 Set a new standard for impeccable quality in your bar with the Slant carafe by Stolzle!